Now there is a good news for the fans of Bhaijaan, Salman Khan and the reason is that Salman Khan has become the biggest brand of India at the current time. He ranks at no. 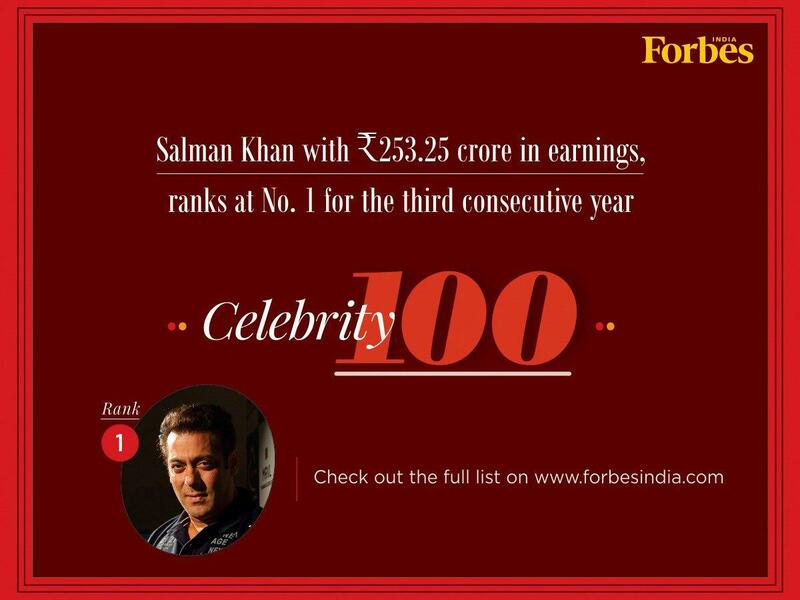 1 for the third consecutive year at Forbes India list of highest earning celebrities. Forbes India releases a list of highest paid celebrities in India, and this has happened for the third time that Bharat star Salman Khan has ranked at No. 1 for the third consecutive year. According to Forbes India, Salman Khan had earned 253.25 crores in the year 2018 and that is a record of any celebrity in India. However, after Salman Khan, if there is any big name that comes to the second position is brand Virat Kohli. 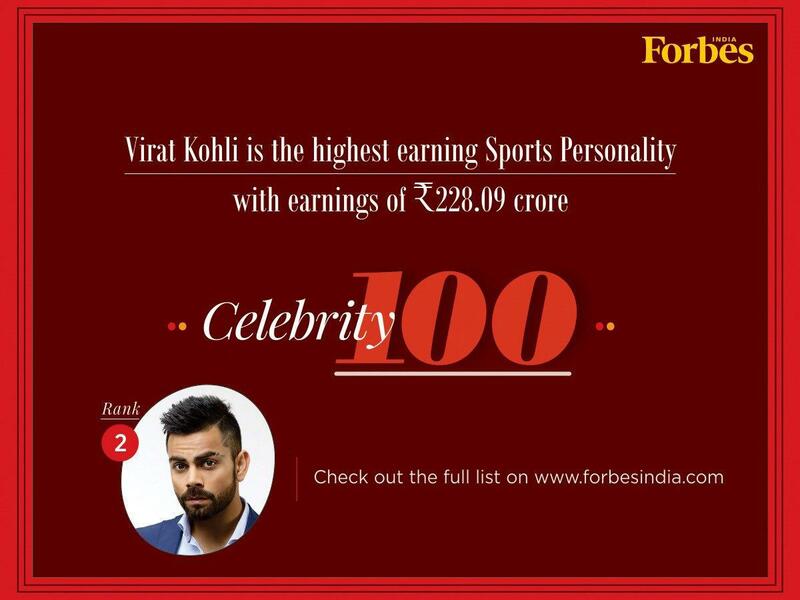 Cricketer and skipper of Team India, Virat Kohli has come on the second position with the earnings 228.09 crores. He also became the highest earning sports personality as well. The interesting thing is that the year has not gone well for the superstar Salman Khan and the reason is his recently some ventures have tanked at the box office. His film Race 3 didn't do well and just collected around 150 crores at the box office, while his production film LoveYatri also tanked at the box office. Even his television show Dus Ka Dum was failed at the TRPs.